Apple’s a company with a long-term product vision. Next week we’ll see the 2017 iPhones unveiled at the Steve Jobs Theater, but people inside Apple are already working hard on the 2018 model... and probably on the new features that will populate the 2019 and 2020 versions, too. While the most interesting things to come out of any Apple event are the new product announcements, one of my favorite things about any Apple announcement is how it makes some of Apple’s previous decisions more understandable in hindsight. As outside observers who can’t peer into Apple’s inner workings, we don’t always have the necessary context to understand where the company is going. But sometimes, if we’re fortunate, we can intuit some things about Apple’s direction in advance. And if a few of the rumors of the next-generation iPhone are true, some of Apple’s previous decisions start to be part of a much bigger story. Take the rumor that the new iPhone will feature an infrared scanner that lets you unlock the phone with your face. That’s a pretty wild idea, and one that’s been tried by Apple’s competitors with limited success. Yet biometric authentication is so core to the iPhone experience these days that it’s hard to imagine Apple wouldn’t ship this feature if it weren’t just as solid as Touch ID. 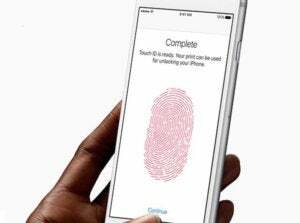 Touch ID may be replaced by facial recognition in the new iPhone. But take a step back from the rumors, and Apple’s product direction in this area seems pretty clear. What’s the ideal scenario? When you pick up your iPhone, it should know that it’s you and let you do whatever you want. When someone else picks it up, it should refuse to work. If Apple’s face-scanning software can make that happen, it will have taken a step forward from Touch ID. And a bunch of recent changes to the iOS interface will pay off. The raise-to-wake feature (introduced in iOS 10 and compatible with the iPhone 6s, SE, and 7) means that when you lift your phone to look at it, the screen comes on; on the newest iPhone, by the time the screen is on, your phone should be unlocked. It’s hard not to imagine that feature wasn’t part of a laundry list of features on the march to an instant, invisible phone unlock. Once your face unlocks your phone automatically, what’s the use of the lock screen? Apple has added the ability to interact with notification center items and widgets, which is a nice idea that’s slowed by the fact that your ability to interact with those items is limited when your phone is locked. Yes, you can rest your finger on the Touch ID button to unlock your phone—and iOS 11 makes this entire process a lot clearer—but once the phone just magically unlocks, that screen becomes a quick way to jump into favorite apps, check data, or address notifications. 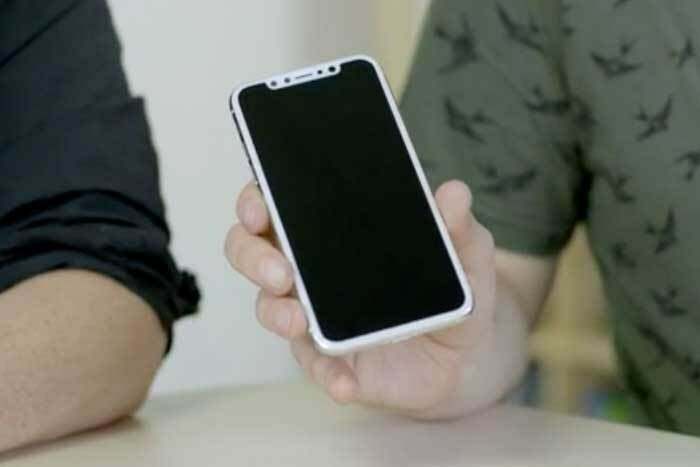 Or consider the report that the next iPhone will feature a new gestural interface, given the lack of a home button. Mark Gurman’s report indicates a software-driven bar at the bottom of the screen is the focus, with users dragging it up to open the phone. Flicking up from within an app can kick off the multitasking switcher or move back to the home screen. Apple has probably been investigating how to get rid of the physical home button on iOS devices for some time. (The non-moving button on the iPhone 7 was just a warning shot!) We’ve all been trained for the last 10 years on having a home button as a safe, easy, obvious way to bail out of apps and return to the home screen, but it doesn’t necessarily have to be that way. Apple seems to think that getting rid of the button and replacing it with even more screen is a better approach, and I don’t really disagree. Almost every interaction I make with my iPad these days is gesture based, via the Dock or the multitasking switcher. If the operating system provides a solid alternative to the hardware button, I won’t miss it. 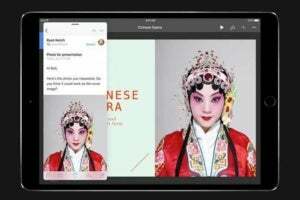 Could the iOS 11 multiasking features introduced for the iPad Pro be brought to the new iPhone? Speaking of that multitasking switcher: If Gurman’s report is accurate, the new multitasking switcher and swipe-up gesture introduced for iPads in iOS 11 are more than just a clever addition for iPad users: they’re part of a larger set of iOS conventions that will also be adopted by the new iPhone and, presumably, by more iOS devices in future years. The iPad’s multitasking switcher feature, which we first saw in June, may yet prove to be part of a larger story of Apple envisioning an iPhone without a home button of any kind. Those are just two examples. I wouldn’t be surprised if, on the afternoon of September 12, we all scratch our heads and realize that three or four other moves Apple’s made in the last year—most of them subtle, and easily accepted on their own rather than a part of the bigger picture—were in the service of new features or technology that Apple was planning on debuting this fall.